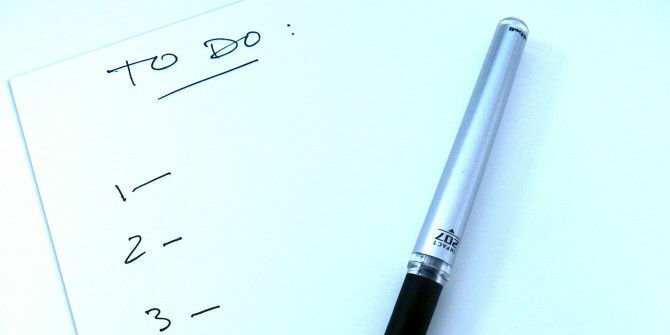 When is the last time you tapped a to-do list app’s full potential? They come in all sizes, and until now there haven’t been any one-size-fits-all tools out there. On the one hand you have the outlining dexterity of Workflowy Zen-Style Listing And Project Management with WorkFlowy Zen-Style Listing And Project Management with WorkFlowy Read More , and on the other the utilitarian minimalism of Google Keep. Want something just as simple but more powerful? Then take a look at Dynalist. It’s a combination to-do list, outliner, and project management tool wrapped up in one app. It’s also cross-platform, available on all the main systems: Windows, Mac, Linux, Android, and iOS. It is not completely free, but has a solid free tier that’s sufficient for everyday use. Dynalist works just like an outliner, able to handle anything from simple mini-tasks to complicated task folders, due dates, and milestones. To really unlock its project planning potential, you’ll want a Pro account for Google Calendar integration, file attachments, and cloud backups. But you can do a lot with the free version! Instantly turn any list into a checklist, and organize your most important items with tags. Add handy notes alongside your list. Move multiple items at once when a list gets too long, and use the “focus” mode to see what’s relevant right now. Convert any list to a checklist or a numbered list. Select and move multiple items at once across your lists. Add dates, tags, and internal links with your own triggers. Bookmark list items, documents, and even folders. Use the Markdown support and tons of shortcuts. Here’s the complete list of features available on Dynalist. The expected introduction of a mindmap, which is experimental right now, could be handy for visual notetakers. Try Dynalist! Is it better than Workflowy or does it still have a long way to go? Also, give us your pick for the best cross-platform note-taking app. Explore more about: Note-Taking Apps, To-Do List. I have used Dynalist and agree it is a good list app. One of the best list apps if you use your computer and like keyboard shortcuts is Checkvist. You can go to the mobile website and save it as an app on Android or iOS as well. IMO, it is the best listing app I have ever used. I am a director of IT and have to keep many lists and access them in the office or on the go. Loving Dynalist so far! I'm a long-time Workflowy user, but it doesn't seem like they're adding any new features. Yeah, it is positioned as an alternative to Workflowy and the import feature helps. I just hope they don't pack it with too many features. The mindmap feature sounds interesting. The subscription model less so for pro features. I know all companies think this a a great pricing model, because they get higher rpc. But at what cost? I, for one, do not go for these except if the added value is very high, especially as compared to their own free offerings and those of competitors. For me, the subscription cost is almost always way too high, by at least an order of magnitude, for the added value.